With the YAIAA tournament over, it's time to shift attention to the District 3 playoffs. The district tournament starts Monday, and the YAIAA will be well represented with seven teams participating. Central York (seeded fourth) and Dallastown (seventh) qualified in Class AAAA; Susquehannock (fourth), Littlestown (eight), Dover (12th) and Kennard-Dale (14th) in Class AAA; and Delone Catholic (second) in Class AA. Which team will go furthest? Delone Catholic has to be the pick. The Squirettes (16-3) won the Class AA tournament last year and enter as the No. 2 seed this time around. And with most of last season's lineup back — including shortstop Shelbee Holcomb, pitcher Cassie Rickrode and third baseman Katie Laughman — the Squirettes have the talent and experience to repeat as champions. Still, they haven't played top-seeded Brandywine Heights (17-1) this season, so it's hard to predict who would win if the two teams met in the final. It would be very surprising if Delone Catholic doesn't at least reach the title game. Outside of Class AA, Central York appears to be the YAIAA team most likely to make a run. The competition in Class AAAA will be brutal, but the Panthers (21-1) have been terrific. They'll also want some redemption after losing in the first round of districts last season. Who could be a Cinderella story? It's hard to think of Littlestown as a Cinderella team, since the Thunderbolts (16-4) dominated Division III all season. But they qualify as underdogs in the district tournament because of their No. 8 seed. Similar to Delone Catholic, Littlestown has a lineup filled with experienced hitters and a strong pitcher in senior McKenzie Somers. 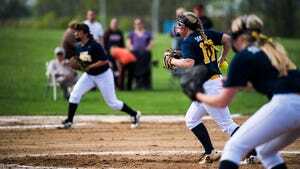 Littlestown has also proven it can compete with great teams, having lost to Central York and Greencastle-Antrim (a No. 2 seed in Class AAA) by just one-run margins this season. They don't have an easy path, but they have the talent to play with most teams. Littlestown will have a tough opening-round game against ninth-seeded Hamburg. Littlestown has lost two straight, and Hamburg (16-4) is solid. Which teams should brace against an upset? This one is tough, because it's never easy to predict who will win first-round games. As good as Dallastown (16-2) has been this season, the Wildcats could be vulnerable just because of their seeding. A seventh seed in Class AAAA means they draw 10th-seeded Mechanicsburg (16-4). Both teams have the same number of wins, and the Wildcats could potentially be rusty since they haven't played since May 12. Now should Dallastown avoid the first-round upset, don't be surprised if the Wildcats make a run. Who will be the biggest impact player? So many players to pick from here, but the safe choice is Delone Catholic's Cassie Rickrode. 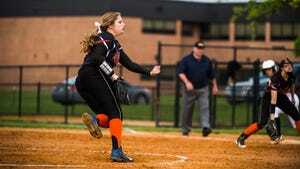 The senior hurler pitches every game for the Squirettes, and is also their cleanup hitter. She's also been on fire all season, batting over .500 and registering a 1.67 ERA in the regular season. If the Squirettes are going to win their second straight district title, she'll have to be a difference maker once again.